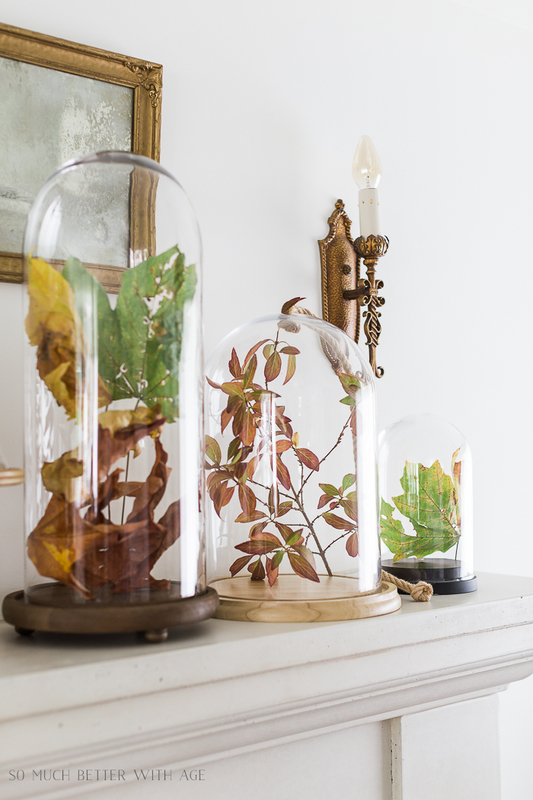 Wondering what unique ways you can decorate for fall this season? Be sure to check out these simple tips. I love using natural elements for fall and whatever is in season. 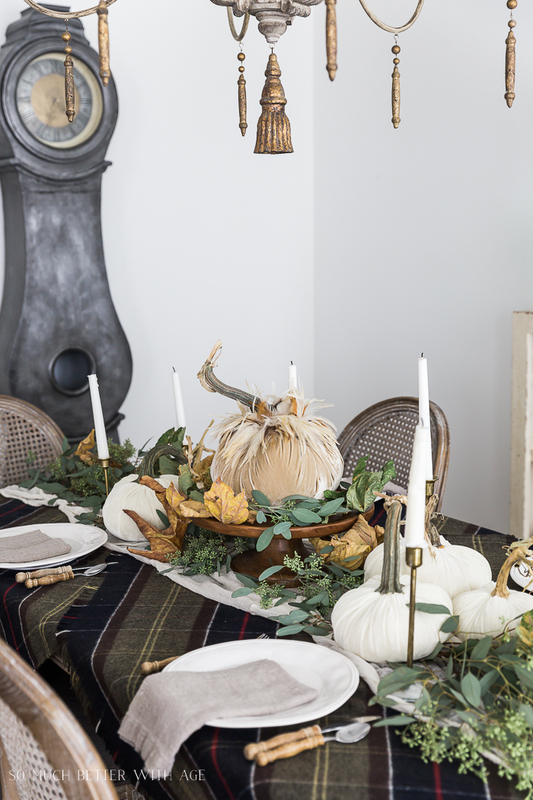 Today I’m sharing my unique fall decorating ideas with you that are pretty, natural and simple along with many talented blogger friends so be sure to check out all the tours at the end of this post. Thank you Krista from The Happy Housie for organizing such an amazing tour! If you are coming from Rhonda of Hallstrom Home, welcome! When I first think about how to decorate my home for fall, instead of using the typical pumpkins, I head to my nearest florist to see what is in season. The Bells of Ireland and dusty rose carnations were calling out to me! 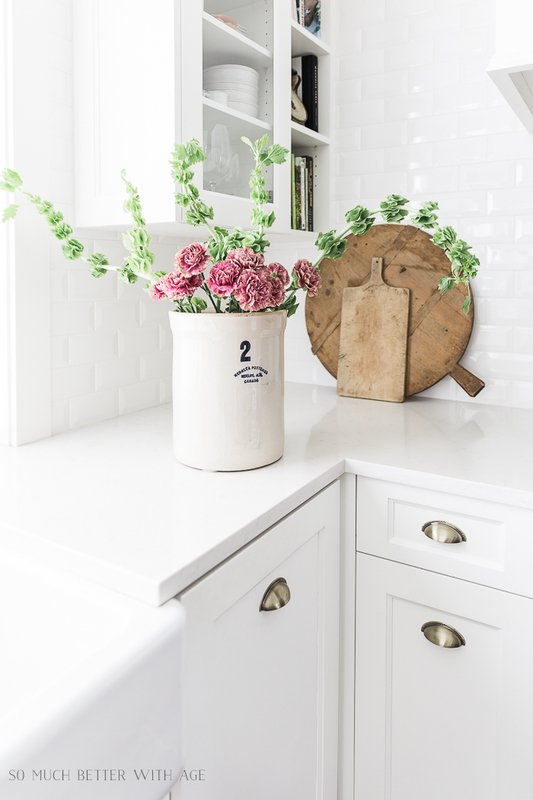 I love the large, angular shapes they make and they look so pretty in a large vase or crock. 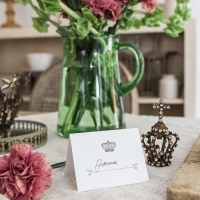 I put them with my crown and leaf place card printable. As the weather gets cooler, it’s nice to get cozy and have friends over to play games and drink wine. 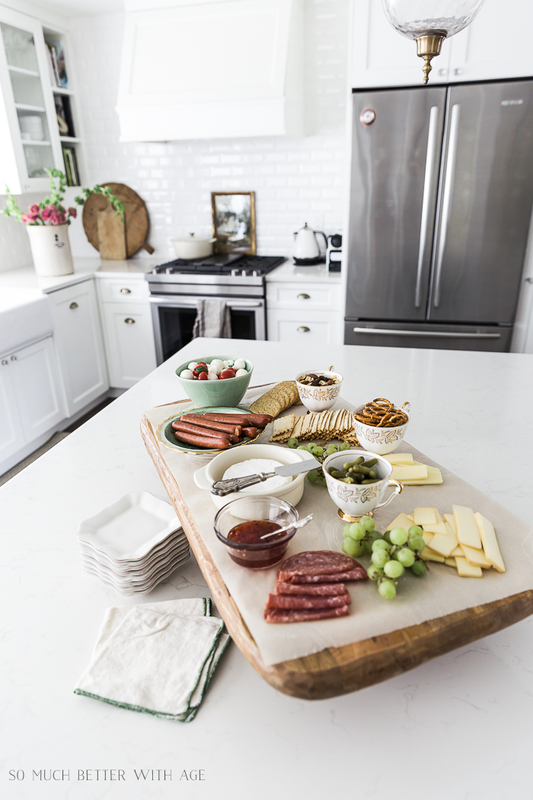 There’s nothing better than putting appetizers out where guests can just help themselves. A French charcuterie board is the perfect way to accomplish that! It looks pretty and is very easy to set up. 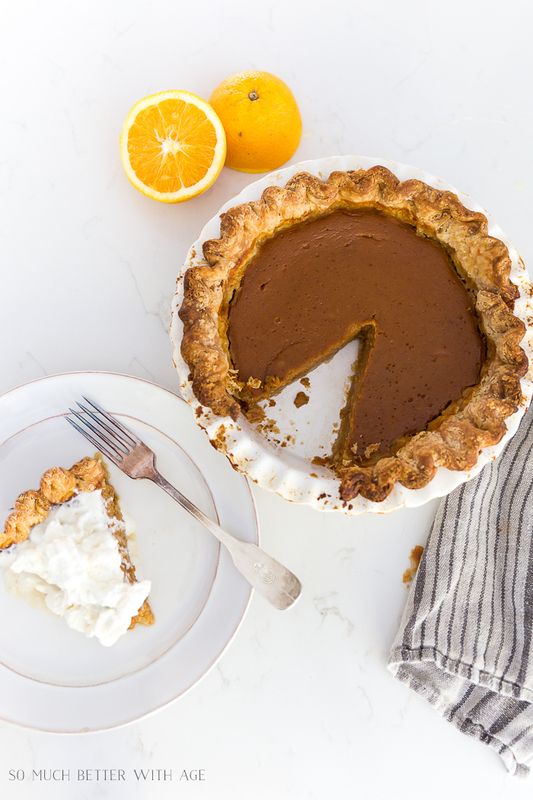 And for dessert, don’t forget to try this orange pumpkin pie recipe of mine. It’s a traditional pumpkin pie with an extra zing! 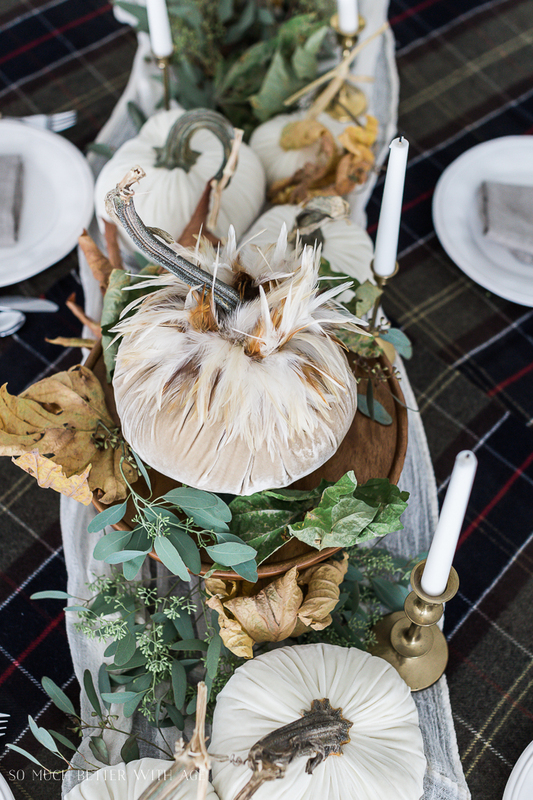 For an all-out showstopper, decorate your Thanksgiving table this season with velvet pumpkins and a plaid tablecloth (actually, it’s not really a tablecloth and it cost $20!). 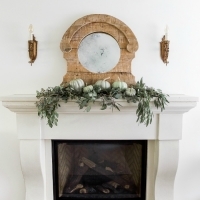 Decorating your fireplace mantel is an dramatic way to bring fall into your home especially when you are using fall leaves. 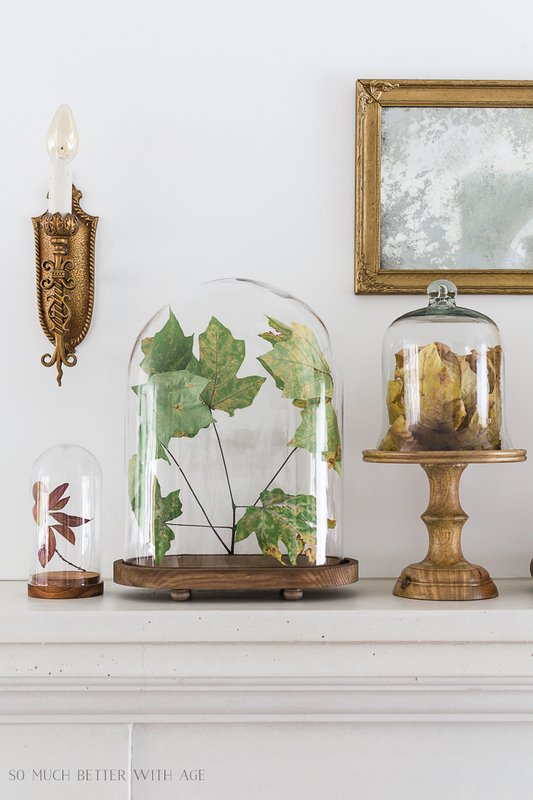 Adding real fall leaves under cloches makes them look extra special. 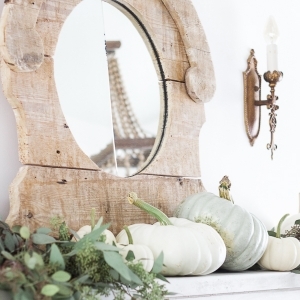 I hope you enjoyed these pretty and simple unique fall decorating ideas. 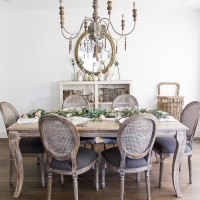 It’s always fun creating new seasonal decorating tips with you! 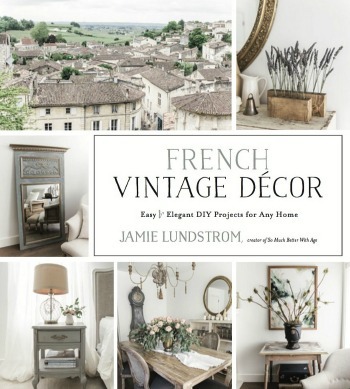 Now be sure to visit the beautiful of Jen from Rambling Renovators. I love all the greenery you added to your home, it screams Fall! Especially love those pumpkins. I am so happy I could join this blog hop, Happy Fall!! Thanks so much, Rhonda! I love all the greenery too. 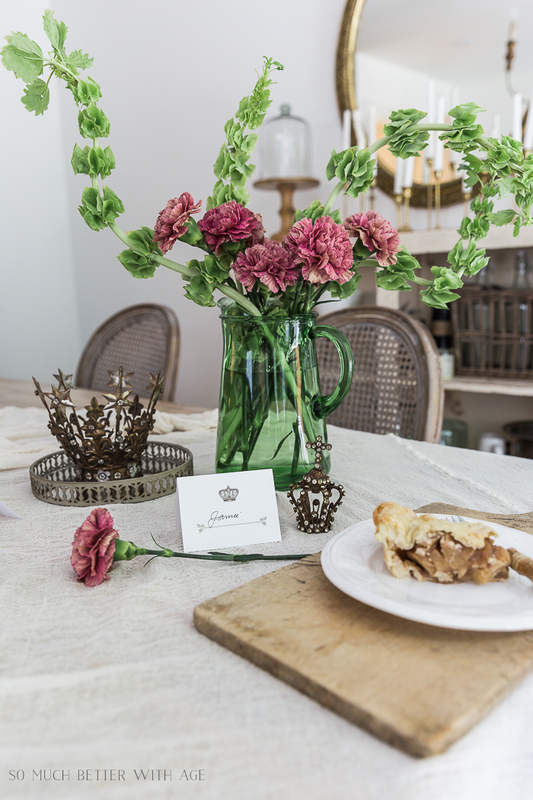 I love the green pitcher with the carnations and the Bells of Ireland stems. So very pretty. I’m going to get some too. I love green as well 😊 I was alo wondering where you found your sconces above your fireplace? Do you know where I can find some that are similar, they don’t have to be electric? 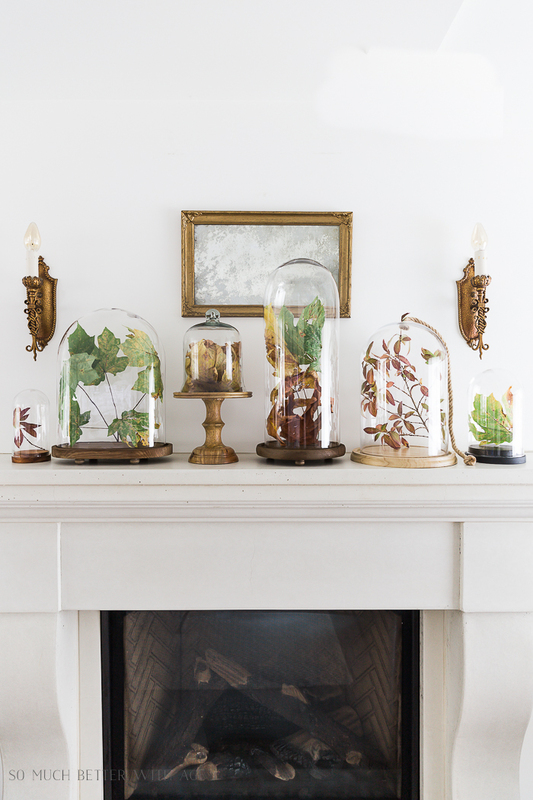 So are the leaves & branches under the cloches real or fake? Thanks for the tips. I’m not sure how I missed that because I do follow your blog! 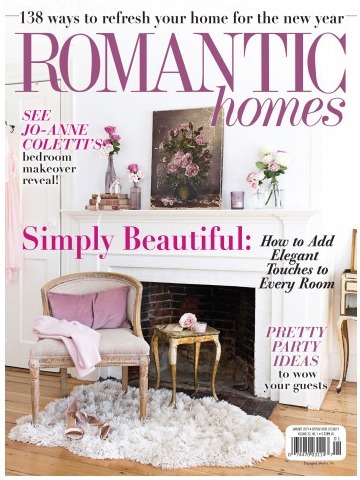 Love those dusty rose carnations! Such a pretty color! Thanks so much, Laura! I love the color too. 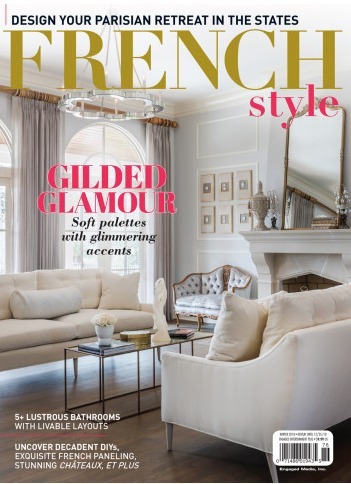 As always, your home is a stunner, Jamie! 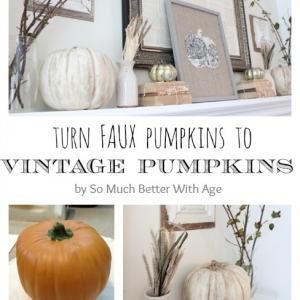 Love those velvet pumpkins! So great being “on tour” this week! So great being on tour with you too, Abby! 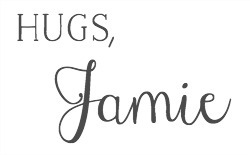 Jamie, I just love the simple yet gorgeous way you decorate! Your fall touches are perfect. When can I come over for wine and game night?! Sounds amazing!